In March, we announced the "Build Actions for Your Community" Event Series. 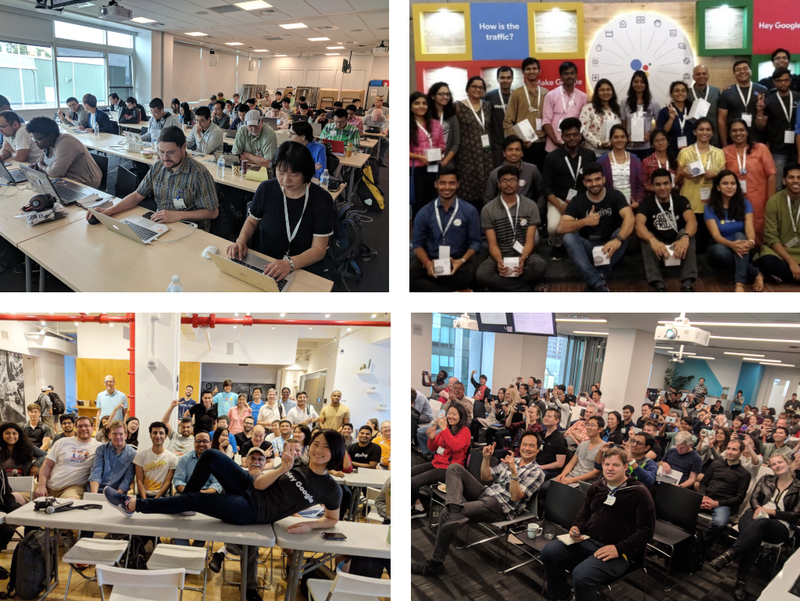 These events are run by Google Developers Groups (GDG) and other community groups to educate developers about Actions on Google through local meetup events. 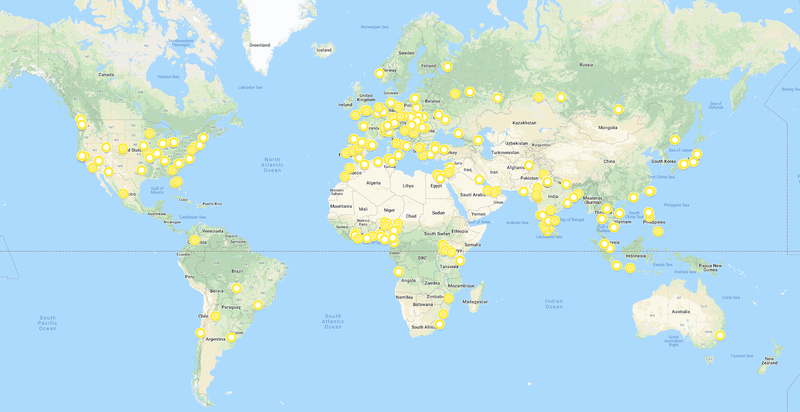 The event series has now ended and spanned 66 countries with a total of 432 events. These events reached 19,400 developers with 21% women attendance. Actions on Google is of interest to developers globally, from Benin City, Nigeria, to Valparaíso, Chile, Hyderabad, India, Košice, Slovakia, and Omaha, Nebraska. Developers in these cities experienced hands-on learning, including codelabs and activities to design and create Actions for their communities. You can try Meditation Daily to help you relax, English King to learn about grammar, or Voice Cricket to play a game of cricket. We also got valuable feedback directly from developers about how to improve the Actions on Google APIs and documentation. We learned that developers want to do Actions for feature phones and want the Assistant to support more languages. Developers also asked for more codelabs, more workshops and more samples (subsequently, we've added a 3rd codelab). It was exciting to see how many developers shared their experiences on social media. It was also very encouraging to see that 76% of developers are likely to build new Actions and that most developers rated the Actions on Google platform better than other platforms. Thanks to everybody who organized, presented, and attended these events all around the world. For even more events, join a local GDG DevFest to share ideas and learn about developing with Google's technologies. We can't wait to see what kinds of Actions you create for the Google Assistant! Want more? Head over to the Actions on Google community to discuss Actions with other developers. Join the Actions on Google developer community program and you could earn a $200 monthly Google Cloud credit and an Assistant t-shirt when you publish your first app. This entry was posted in Google Developers Blog and tagged actions on google, google developers community groups, Google Developers Groups on November 6, 2018 by Google Devs.